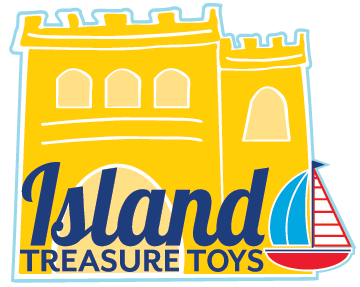 Welcome to Island Treasure Toys — a family run specialty toy store nestled in three convenient locations on the coast of Maine! We offer a wide selection of toys for all ages with manufacturers we can stand behind and are proud to carry in our stores. From Melissa & Doug classics to HABA’s German infant toys, we strive to stock quality products that satisfy the needs of kids and parents alike. But the products we carry are only a small part of what makes our stores so unique and inviting. Our staff, time and time again has been our biggest compliment from customers all over the world! Friendly, caring and knowledgeable, our staff will go out of their way to make sure that you find EXACTLY what you need. We began in February 2001 as a home business on a small island off the coast of Maine where our youngest daughter would spend many hours on the beach combing for treasures. Soon after we started, we realized we had already outgrown our home, and in April 2002, we opened a small brick and mortar store in historic Yarmouth and a few years later expanded into a larger space located at 805 Route 1 in Yarmouth. In 2011 we decided to expand to a second location on 20 Bow Street in Freeport. The Freeport store has over 3000 square feet of toys to choose from, so you’re bound to find something to satisfy even the toughest of playmates. In 2013 we opened up a THIRD location in historic, downtown Bath. Located on Front Street, this store quickly proved to be a favorite stop of locals and tourists while they tour the many storefronts and small businesses of Bath. In February 2018, our Bath store moved up the street into a bigger location at 70 Front Street. With more space to expand our offerings, we also added a gift shop section that features handpicked, unique artisan gifts for all ages. What began as a small online store based in our home, now has developed into a successful storefront and an ever growing online store whose opinions have even been considered in a recent article in the New York Times. We take pride in the products we carry and the service we provide. It has been a pleasure meeting the many people who enter our store and talking to our online customers.